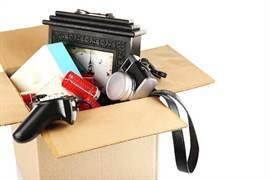 ​​Old stuff in your house may be worth a decent amount of money. It’s incredible what fellow Kiwis will buy and what they’ll pay for it. But Trade Me could also be a lot of hard work with little financial reward. To get the highest prices, best reviews and a more positive Trade Me experience, we have put together a list of tips and shortcuts. If you are a professional Trade Me seller, this guide is not for you. This page is our guide on how to sell, how to get the maximum return on your listing fees, picking the right keywords and offering buyers the best possible experience. ​Not only does selling what you don’t need on Trade Me bring in extra money, it can declutter your home on a one-off or a regular basis. It also has a positive effect for society in general – it’s good for the environment as reused goods avoid the landfills, and someone buys something they want for less than it costs new. Trade Me selling can also be addictive, but in a good way. Watching the bids is exciting while answering the listing’s general questions can add value to the listing if done correctly. And the satisfaction from posting off your sales can be very therapeutic and rewarding. Let's kick things off with a challenge: do you want more money and less clutter? If your answer is "yes" then look around your home for things to sell. If you haven’t used it in a year, do you really need it? Take a few walks around and group together the things that sit there just gathering dust. Think back to when you used each item – if it’s more than 12 months, get rid of it. New items. Anything like clothes with their tags and phones in their boxes will command a higher price than used goods. Branded goods. We live in a world of brands, and people will always trust “Icebreaker Merino jersey” more than just “Merino jersey”. The same goes for “Russell Hobbs Toaster” over “Toaster”. Items with keywords. Keywords are everything – it’s unlikely you’ll get a lot of interest describing something as just a “wallet”. People will more likely search for something like “Gucci wallet” or “kids wallet”. Rare and antique items. We’re not talking about junk, but rare items that no one else has listed. What may be rubbish to you could be just what someone else is searching for right now. And it’s astonishing not only what people buy, but also what they’re prepared to pay for it. You never know what the value of something is until you list it. But it’s pointless to pay listing fees for stuff no one would ever buy. Be sure to challenge what people would actually want; a broken toy, torn clothes, worn-out bedding and a faulty cheap toaster probably have no value whatsoever and should be taken to the landfill. 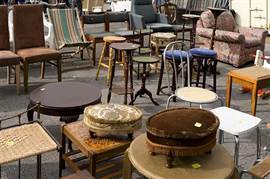 In short, low value items that are not in good condition often have a considerably low value and are not worth your time. We live in a world where reviews mean everything; good reviews give buyers trust and a bad review can dramatically lower your street cred and ability to price high. If you’re new to Trade Me, buy a few small items you need through the website BEFORE you list items for sale. Even having 3-5 positive reviews from sellers will give buyers later on the confidence to deal with you. You’ll also get experienced in how the website works and how to leave feedback. 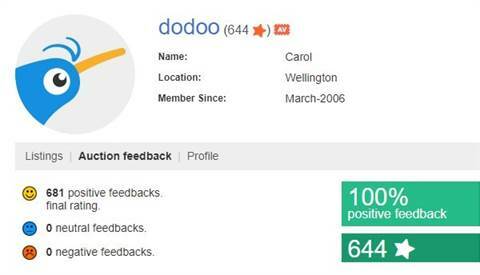 With frequent stories in the news about Trade Me frauds, very few buyers will deal with zero-feedback sellers or anyone with more negative reviews than positive ones. ​Having a trusted profile is the difference between getting the true market price for your items and getting something much less. No one wants to be burned, so investing in getting feedback BEFORE you start selling is a proven strategy. For example, if you join Trade Me today and list an iPhone tomorrow, it’s unlikely anyone will buy it. The last thing you want to do is get involved in a Trade Me squabble - the reviews pollute your profile and are not worth the effort. Buy small items from trusted sellers who have a reputation. Make sure you leave a positive review for each positive experience, and be descriptive about what you liked about the trader - your seller will be obliged to return the favour. And as a buyer, you must be on your best hehaviour. Be sure to pay on time, respond to questions promptly and be clear about pickup or delivery details. No one likes chasing people over $5 - be responsive and see the positive reviews flow in. What is their title missing? How can it be improved? What keywords are missing from the title and description? Do the photos do the item justice? How can the photos be improved? What are the questions asked by the bidders? The best descriptions anticipate questions in advance and save you time during the auction as well. Does the listing have a story about why the item is being sold? If not, can you add one that gives your buyers credibility about your motives. The more trust you have, the higher the price. For example, “New Size 12 Country Road Flower Print Dress - Cotton” beats “Beautiful women’s dress, perfect for summer!” – the search terms that matter are “new”, “size 12”, “Country Road” and “Dress”. If you are stuck for ideas on how to describe the item and what search terms to use, Google the item you’re selling and see how it is described. That will give you a great starting point. Smaller differences can mean everything too - a watch with “resistance” can expect to sell for ~50% more than a “resistant” watch. 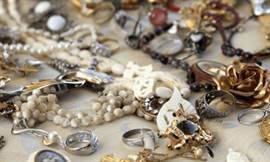 The more you can write about your item, the more trust you will gain from buyers. But don’t make the mistake of writing everything that comes to your mind. And remember, the buyers don’t know you and are looking for a reason to trust you. Describe any defects, damage or imperfections upfront. Don’t write “slightly damaged iPhone”, but be a devil of details – “a 2cm long hairline-crack appears on the top of the screen”. Photograph the damage if possible, so that buyers know exactly what you’re selling. Visuals need text associations. Don’t just include a bunch of photos without referencing them in to your text. Respond to any question with kindness. Start with “Thanks for the question (username)” or “That’s a great question – let me answer it…”. Going across as even 1% passive aggressive will have buyers running for the hills. Remember: You will get more bids if people trust you. It's that simple. The optimal number of photos for a general item is between 5-8, depending on what it is. Take your photos in the right light, and don’t rush the process. Also, once you’ve used up your listing’s photo allowance, don’t hesitate to pay for more if they add weight to the listing. For 10 to 25 cents per photo, it is worth it. Make sure there is enough light – dark or blotchy photos kill a listing. If you are selling a car, wait for a sunny day. And be careful about the background – an overgrown lawn and garden isn’t going to convert buyers, but a beach or tidy street is. For small items, use a white or plain background. If your items have imperfections, photograph those with a ruler beside them to quantify the issue. You’ll get points for honesty and added trust. 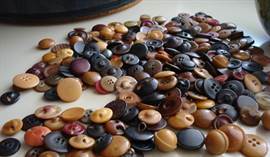 Take a number of photos - close ups and important angles all help towards selling an item. Remember, the buyers don’t know the item as well as you do, so you have to present it to them and make sure they are not missing any images. If you are selling a DVD, it doesn’t need 4 photos, but a piece of jewellery is best sold alongside multiple close-ups and photos from different angles. 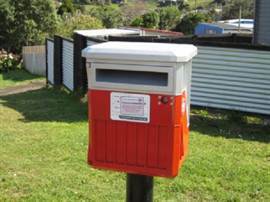 NZ Post has a useful tool to estimate the cost of postage, and if you list the price upfront you’ll get more love from the buyer. Even though you won’t know the location you’re sending it to, it’s a good idea to enter a town in another island to get an estimate. Also, saying “any savings in postage will be included in your item in cash”, meaning if you save a couple of dollars on postage it’s very nice to include them with the parcel. This is the most basic and effective Trade Me tip of them all. The standard auction length is 7 days, but it only costs 25 cents to make your listing a “10 day auction”. Those extra days will give you up to ~40% more views and offer the best chance of a higher selling price. The best time to list is Thursday evening, so that you can set the end date to Sunday evening as we outlined above. What is the item worth and/or likely to sell for? If it’s above $50, then seriously consider a “Feature Combo” package. Could the item also belong in a second category? If so, it’s worth the fee ($0.99) to list in another category. If you’ve paid for a Feature Combo or any other promotion, the package features will also show up in the second category. Photos sell items. If you don’t want to invest too much, adding the “Gallery” feature ($0.55) means your item is higher up in the gallery and buyers will see your main photo enlarged. If in doubt, ask yourself – is it reasonable that one or two extra fees will boost the number of bids? Unless you’re selling junk, the answer is probably yes. ​The best time for your auction to close is not at 5am on Tuesday morning when everyone in New Zealand is asleep, but when most computers and phones are logged onto Trade Me. For this reason, Sunday evening is a perfect time for an auction to close. The traffic spikes every evening anyway, and Sunday is particularly good because there’s no sporting distractions on TV so your listing has the best chance of attracting eyes of bidders in its final moments. Cost: It only costs 25 cents to add a “scheduled end time” to any listing, and you can easily recover the cost with one bid. The best way to know what an item will sell for is to add similar items to your own watchlist. This way you’ll have an idea of what to expect. You can’t change your mind about selling the item if the auction closed and you didn’t get the price you wanted. It’s best to be realistic and accept that Trade Me is fair for everyone and ultimately it’s a massive market that you can’t influence. 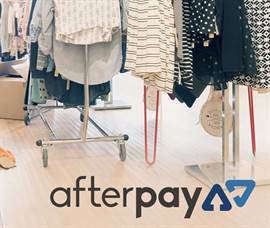 Whatever your views are on Afterpay (see a skeptical story here), allowing buyers to purchase your goods using Afterpay could land you with a higher price. This is because there will be more people are in the “market” for what you’re selling if they're planning to use Afterpay. You’ll get paid upfront, but there is a commission of around 6%. 6% may seem high, but if you get a 20% higher price because many buyers bid knowing they could use Afterpay, you’re up overall. Sell in your item's "high season"
Timing is everything. You'll have more of a struggle to sell your BBQ in July, or your ski gear in October. Wait for the right time for the goods to be "in season". You'll get more interest, more bids and a much more responsive market overall. 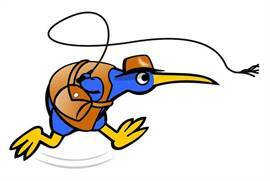 Every Trade Me buyer does the same thing – they hunt the site for deals and bargains. Your listing will excite more buyers if it is listed at $1 with no reserve. The best way to draw in the punters is to add “NO RESERVE” to your listing’s title and above the description. With no reserve and a low starting price, buyers will place bids liberally and automatically have your listing added to their watchlist as a result. And no one likes to miss out, so a flow of bids are almost guaranteed for the right listing (i.e. not junk). No reserve also lets the Trade Me market dictate what the value of your item actually is; there are no restrictions and it avoids a massive buyer turnoff experienced from seeing the “reserve not met” after placing a bid. Best of all: your item will sell, which gets what you didn’t want in the first place out of your home. Trade Me offers a lot of extras in addition to its standard fees. There are so many fees, with more than 100 fee combinations on items you want to list. Be ruthless with regards to what you really need, and cut out what you don't. There is no point giving a "Super Feature" to a low value listing that is almost certain to sell. Remember, the success fee is around 8% of your item's winning bid; going nuts on unnecessary fees is a fast way to reduce what you finally get paid. Firstly, it’s against the terms and conditions on Trade Me. Secondly, it’s illegal by way of being a “misuse of computer” under the Crimes Act. Trade Me has a section on shill billing – using other accounts or some other devious means to bid on your own auction. Just don’t do it – the Trade Me marketplace will take care of you if you have the right item and honest intentions. 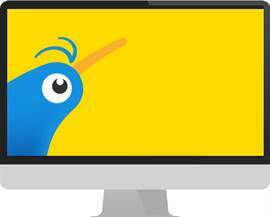 Trade Me lets you confidentially block users with one single click. They will then be prohibited from bidding and/or asking questions on any of your listings. Best of all, you don’t need to explain or justify your decision and you can blacklist whoever you like. Any items you buy online will likely come with a mass of packaging. Hold on to the large envelopes, boxes and packaging materials – they will come in useful every time you sell an item. Top Trade Me sellers take extra care with packaging – including a handwritten note and wrapping clothes in tissue are nice touches that can lead to extremely positive reviews. If you’re selling a few things all at once, it’s easier to give one pick up timeslot rather than going back and forth with multiple buys trying to work out a time. For example, 10am – 1pm on a Saturday should provide enough flexibility for most people. Getting buyers to commit to it will save you a lot of time and hassle. Be a responsive seller in every aspect. Don't delay delivery, be friendly with any post-sale exchanges, respond quickly to emails and messages and most importantly of all leave feedback for your buyer. This way you'll be more inclined to receive the best possible reviews, strengthening your "brand" for future listings. If you've made an error, own it and gain added trust. ​If you’ve made a mistake and not packaged something correctly, or given an inaccurate description, the buyer is likely to be annoyed. 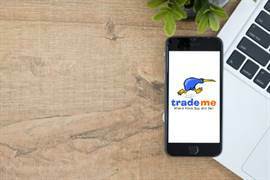 Trade Me reviews are everything to building and establishing trust in the Trade Me community. If you are in the wrong, it’s not worth the fault and risk of negative feedback – it’s just easier to refund and spare yourself any hassle and (public) argument. Of course, do challenge the buyer’s “disappointment” if you feel as if you’re being taken advantage of or lied to by a dodgy buyer – it happens a lot. Trade Me can step in as well to settle disputes before things get ugly. 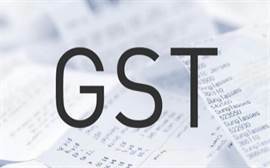 Additionally, if you need to pay tax, you may also need to charge GST – if your Trade Me sales exceeds $60,000 in 12 months, you’ll need to charge GST on everything you sell. Read about your tax obligations here. Have big items you want to get rid of? Don’t hire a trailer or arrange disposal for old sofas and broken appliances without trying Trade Me first. 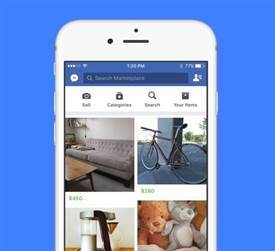 Listing items for $1 and you may get a buyer who will pick the item up. People often like broken items for parts, and next-to-free sofas are perfect for anyone moving into a flat. Trade Me works in mysterious ways. Think you can’t sell something for more than you bought it? Think again. It can be done with the right description, pricing and timing. And perhaps some luck. Step 7 - Trade Me Alternatives - Should You Consider Them? Trade Me has lost a little ground with the rise of the popular local Facebook selling groups as well as the “Marketplace” tool. Unlike Trade Me, there are no fees and you have an instant insight into each buyer (and seller), by way of Facebook profiles. You can communicate using Facebook messenger and pay online or in person. Many people use Facebook for less “valuable” items, given the online shopping platform is not as professional and is less visited than Trade Me. 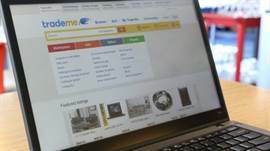 You may see Trade Me online auction competitors offering free listings and all sorts of promotions, but be warned – they don’t have anywhere near the traffic Trade Me does. 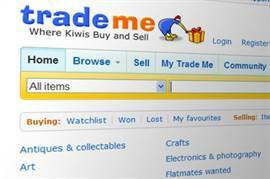 Trade Me is one of New Zealand’s top 10 most visited sites. No other local online auction site comes into the top 1000. If you want to take a chance, you've got nothing to lose other than your time. We're just not convinced of the traction these sites claim they get. Know something we don't and want to share it? Please email our team - we welcome all constructive comments and tips.